Ogilvy UK announced a newly-formed leadership team, bringing to life the agency’s mission to serve as an integrated creative network that Makes Brands Matter. The agency’s new line-up also sees the debut of Ogilvy UK’s first-ever Chief Customer Officer. 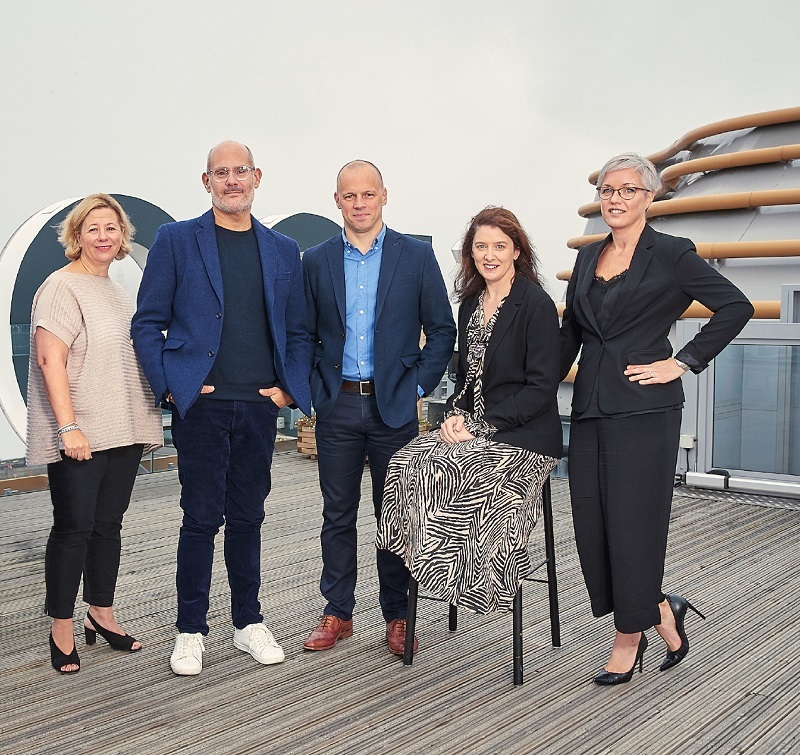 The new leadership team, led by Ogilvy UK Chief Executive, Michael Frohlich, is the continuation of the agency’s Next Chapter transformation and reinvention, taking the business from a group of independent brands to a single Ogilvy brand. The “new” Ogilvy UK will allow clients to harness the full expertise of the agency while enabling the agency’s talent to collaborate in new and exciting ways. As part of the new organisation, Clare Lawson will be responsible for leading and bringing together the best of Ogilvy’s capabilities to meet the changing needs of clients today. Building on a decade of industry experience in customer engagement and delivery at Ogilvy, she will partner with the agency’s leaders to ensure that Ogilvy is putting clients at the centre and delivering game-changing, creative solutions on their behalf. As Ogilvy’s path to transformation continues, the agency’s capabilities and expertise that Clare Lawson unites are being led by a fresh, new leadership team consisting of the bright talent of tomorrow. A departure from the traditional agency model, the agency has added experts across advertising [Jon Tapper], customer engagement and commerce [Louise (Lou) Whitcombe], and digital transformation – including social and content [Jai Kotecha], experience design [Dickon Laws] and data strategy [Herdeep Natt] – with a head of PR and Influence to be named shortly. Ogilvy UK also named Gen Kobayashi as Head of Strategy, Communications and Dan Hocking as Head of Programme Management. The complete Ogilvy UK leadership team led by Michael Frohlich includes: John Cornwell as Chief Operating Officer, Ann Higgins as Chief Consulting Officer, and Nina Jasinski as Chief Marketing Officer. I am thrilled to partner with this extraordinary team of experts as we define the next chapter of Ogilvy UK. We have brought together a unique team with diverse experiences, background and areas of expertise that will focus on delivering the best results for our clients. When bringing this new leadership team together, we wanted to shed the hierarchy of traditional agency models, instead empowering and equipping these exciting new leaders with the opportunity to shape not only the future of Ogilvy but the future of the industry as well. Having this breadth of talent at the top will no doubt lead Ogilvy UK into the future and reaffirm our position as an integrated creative network that Makes Brands Matter. Our success depends on our ability to react to change as it happens and anticipate changes ahead, and I have every confidence that our new people, their new roles and our new structure will deliver an advantage for our clients and our teams. I am incredibly proud to be Ogilvy UK’s first Chief Customer Officer. Today’s customer demands best in class service, and a fully integrated set of pioneering capabilities, yet just 39% of companies have any senior executive ensuring customers’ changing demands drive their business strategy. Within my new remit, I’m excited to work with our fantastic clients and the Ogilvy teams at Sea Containers to ensure our continued evolution has the needs of our customers at its heart. A new creative leader who will be a part of the Ogilvy UK leadership team will also be announced shortly, with a new Chief Strategy Officer to be revealed in the coming months.